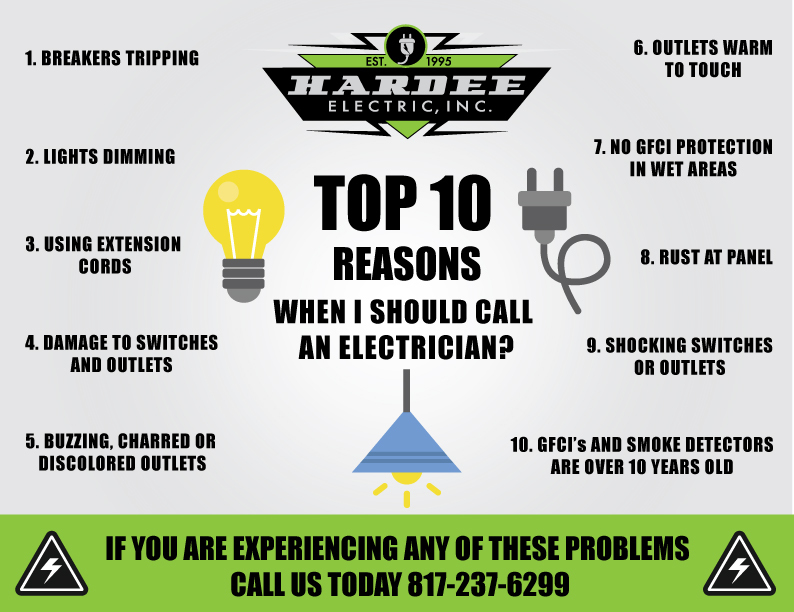 Top 10 Reasons to Call an Electrician. Damage to Switches and Outlets. Buzzing, Charred or Discolored Outlets. Outlets are Warm to Touch. No GFCI Protection in Wet Areas. GFCI’s and Smoke Detectors are Over 10 Years Old. If you are experiencing any of these problems Call Us Today!